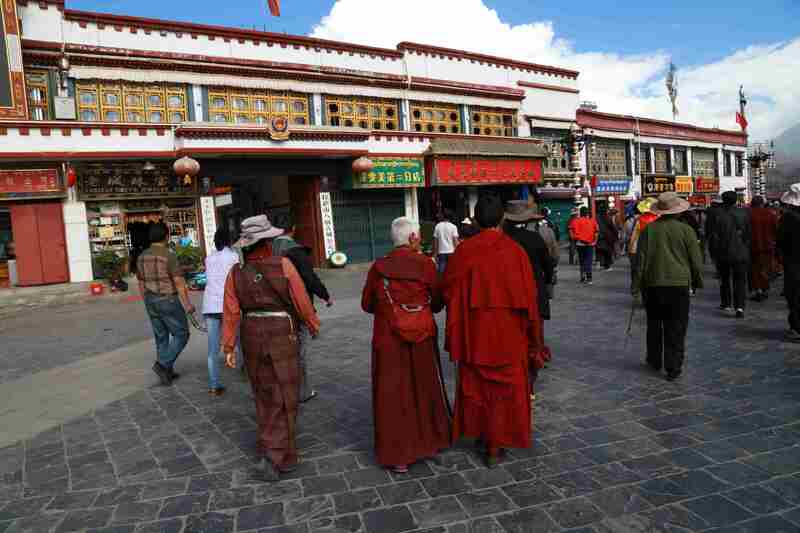 Our guide will greet you at the Lhasa Gonggar airport or the train station. 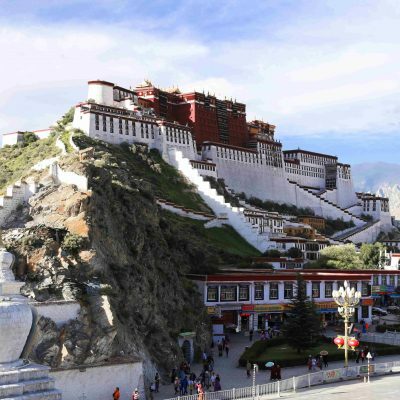 After that you will head to your hotel in Lhasa, where you will spend the first three days. 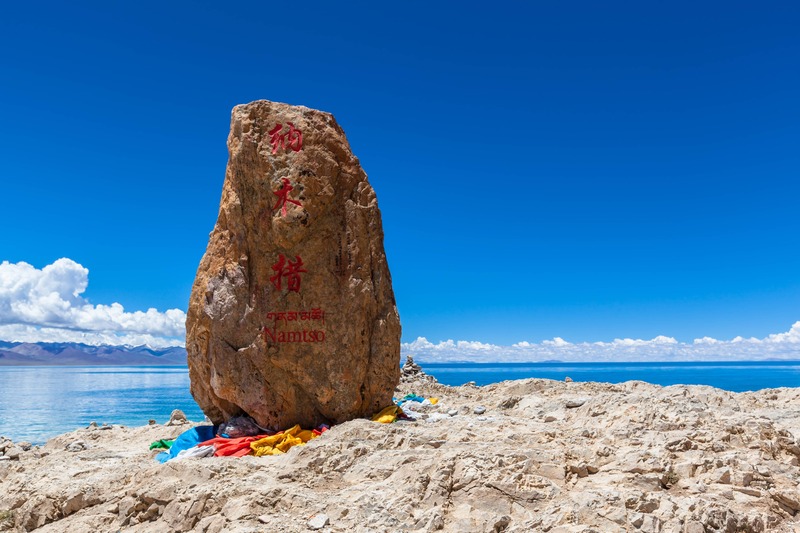 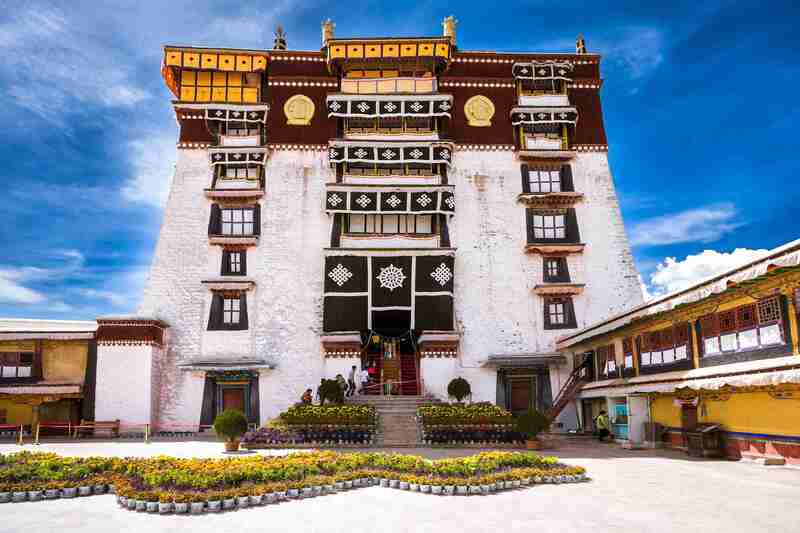 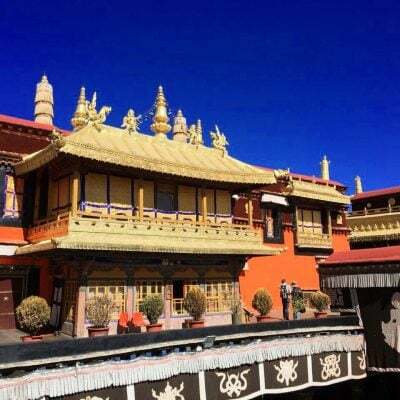 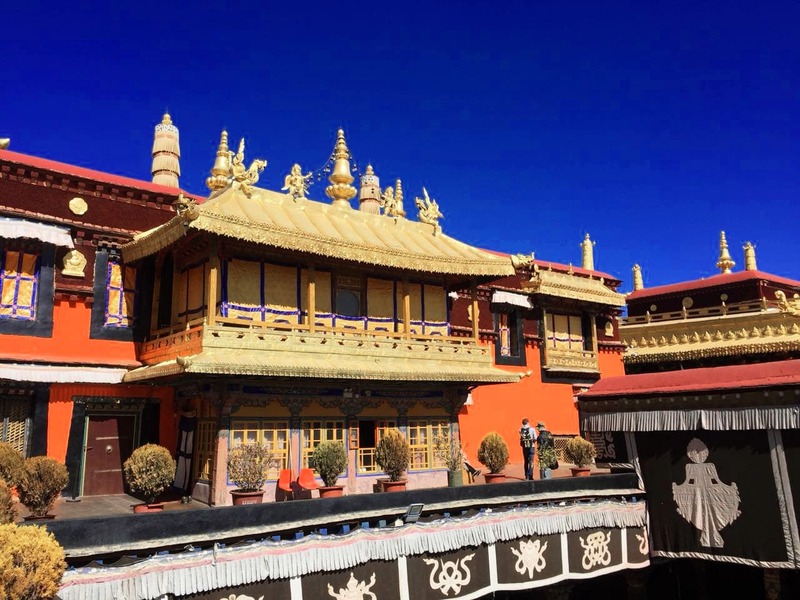 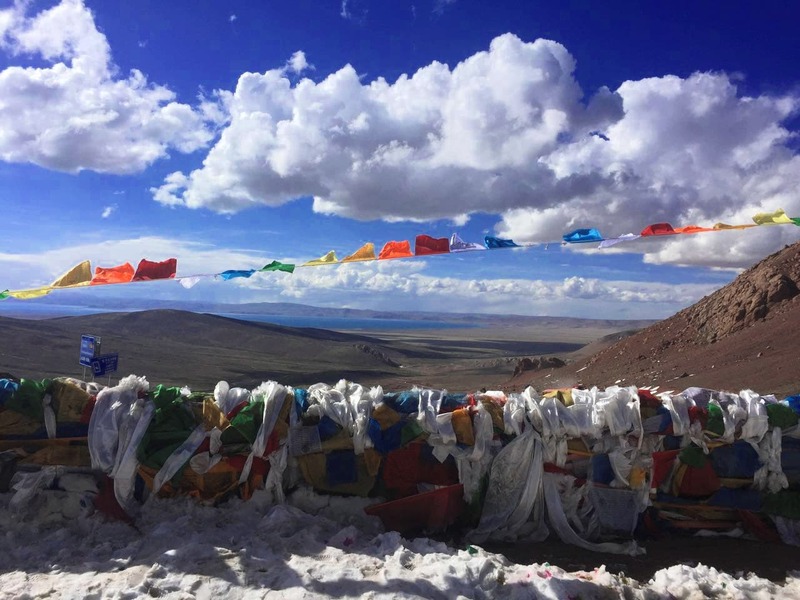 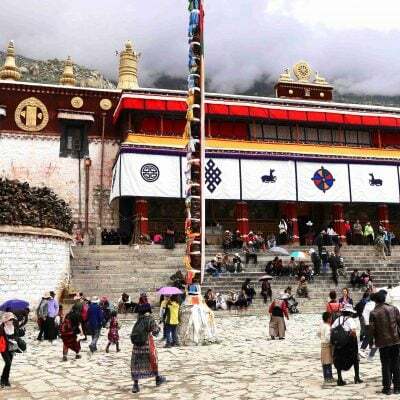 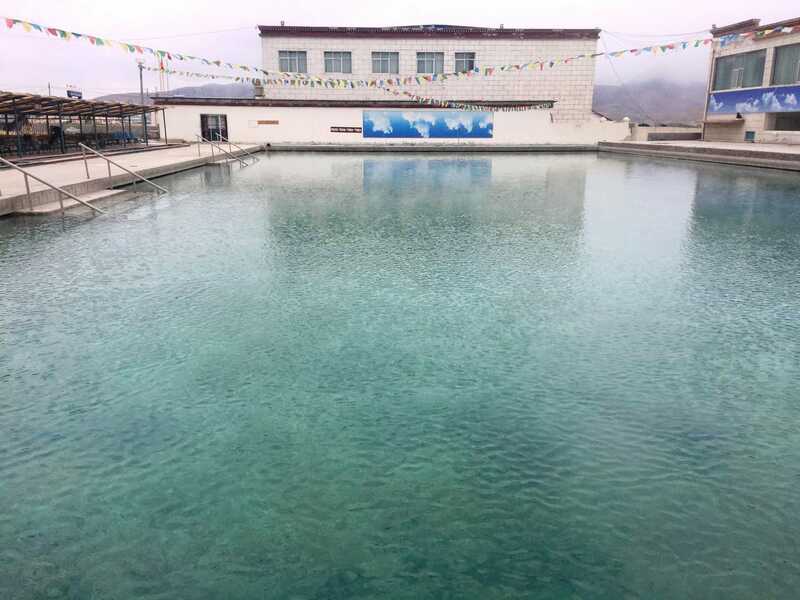 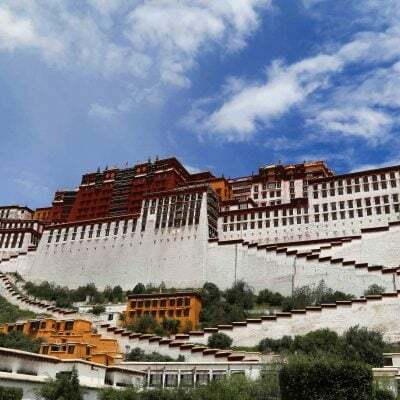 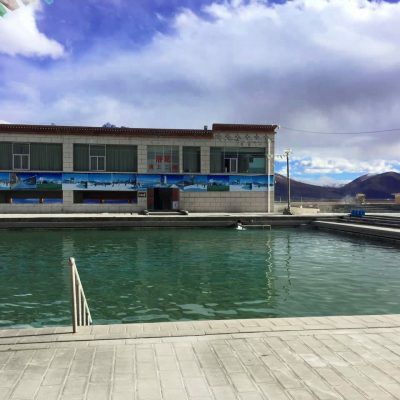 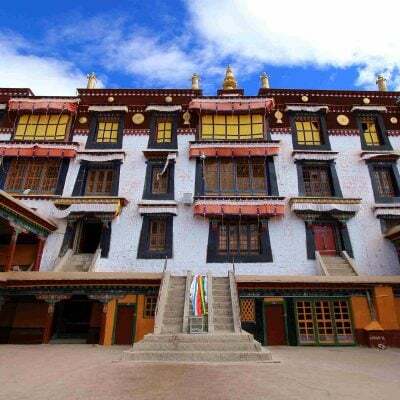 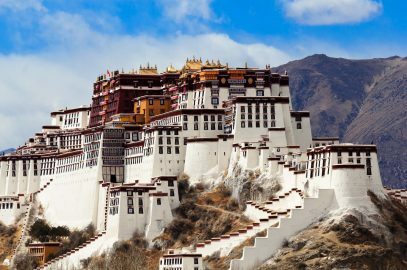 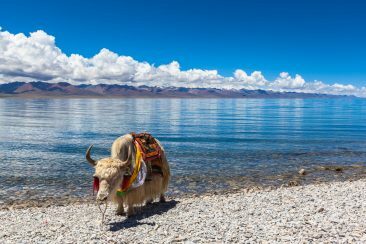 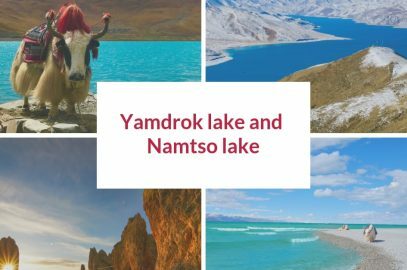 While there, you will enjoy some of the best cultural and historical places in the capital in Tibet, and acclimatize before heading to the Namtso lake. 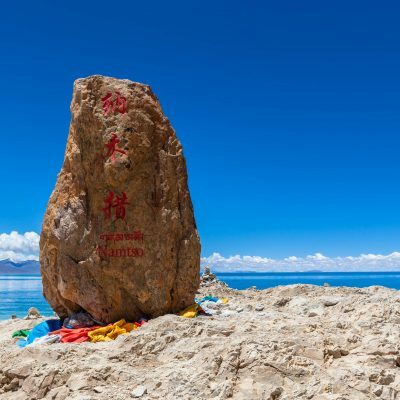 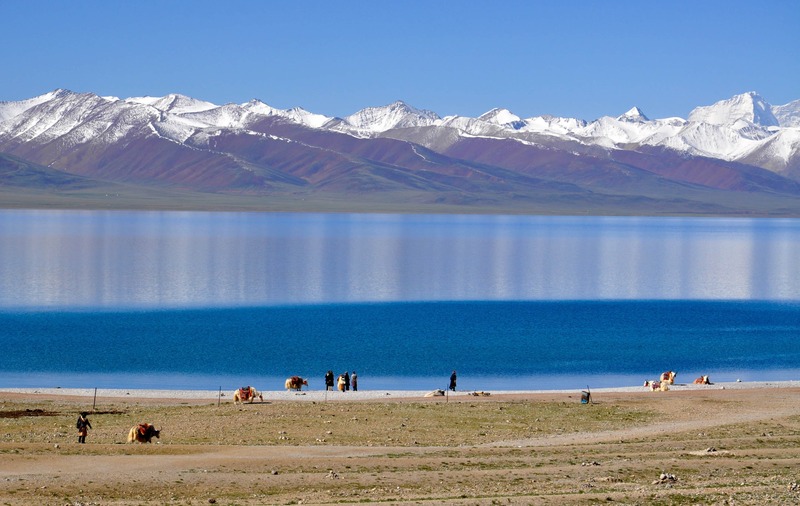 Namtso is the world’s highest salt lake. 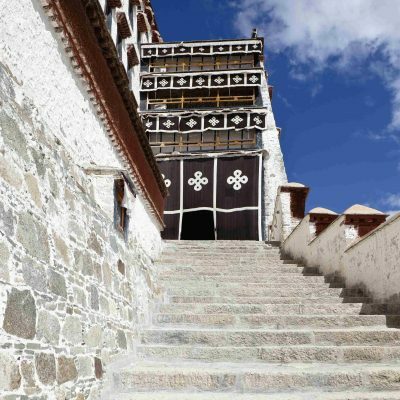 It is surrounded by snow-peaked mountains and offers fantastic views. 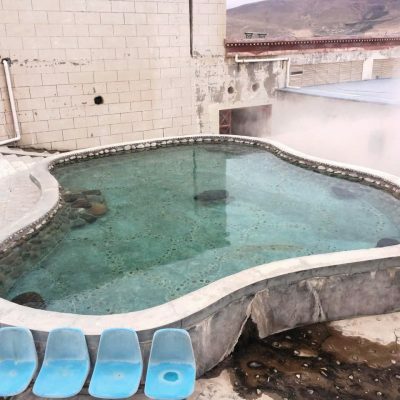 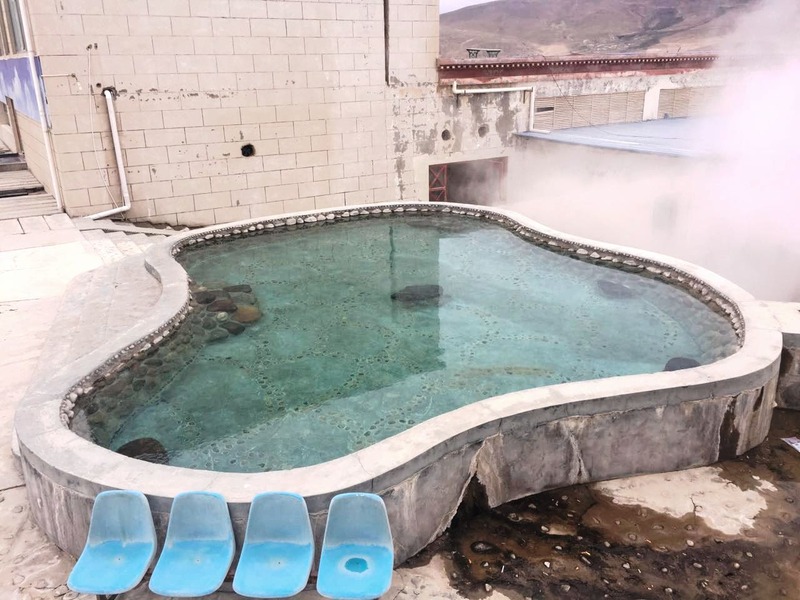 On the way back, you can soak in the Yangpachen hot spring to warm up and relax. 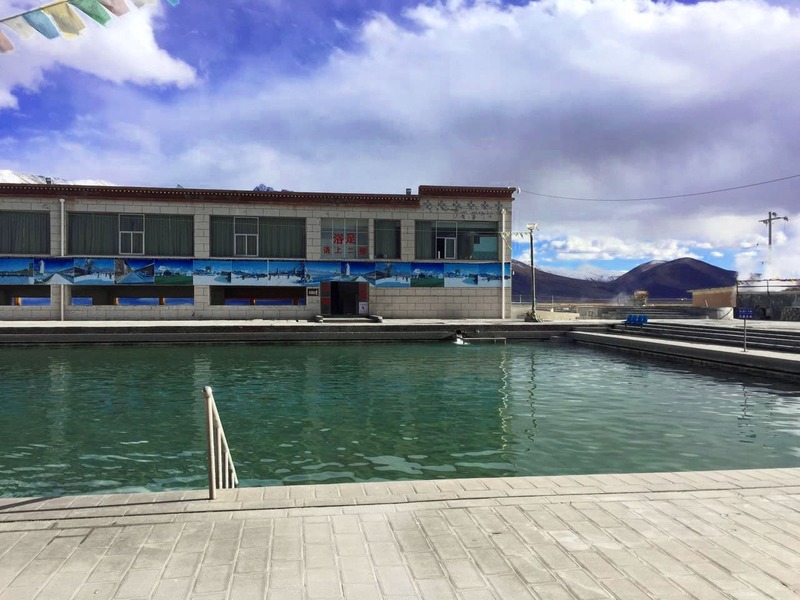 You arrive at the Lhasa Gonggar Airport or the train station. 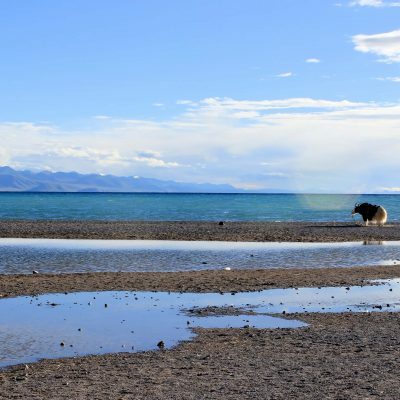 The airport is 62 km/ 39 miles away from the city, and it takes approximately one hour to get to the hotel from there. 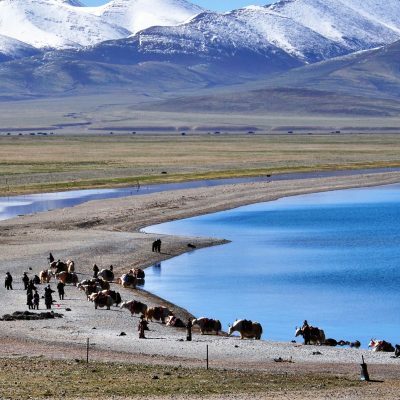 On the way to Lhasa, you will enjoy beautiful views of the mountains. 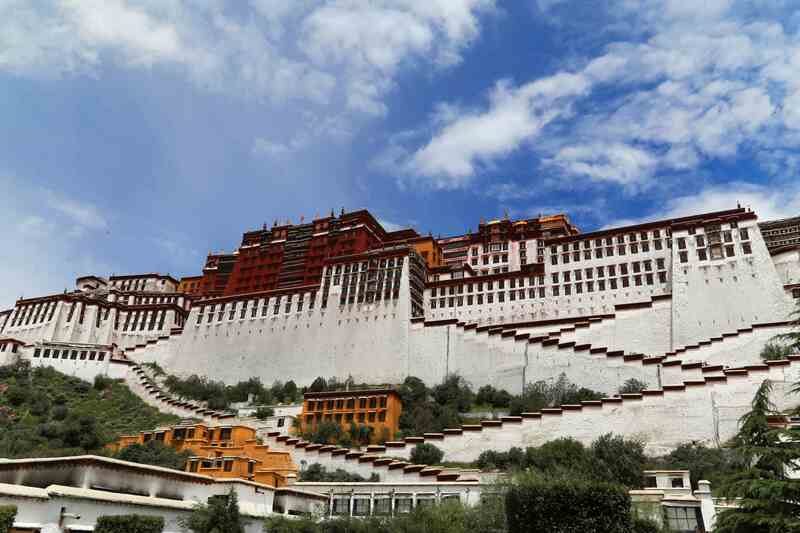 The train station is located in Lhasa, and you will only need a short transfer to the hotel. 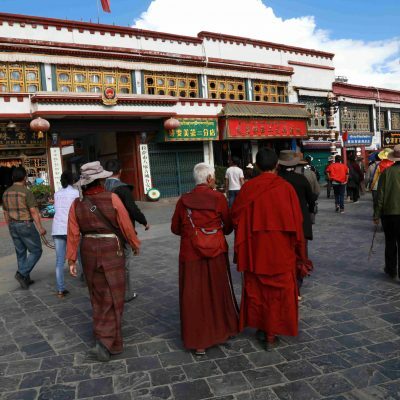 Walking around Barkhor Street can be an excellent choice for your first day in Lhasa. 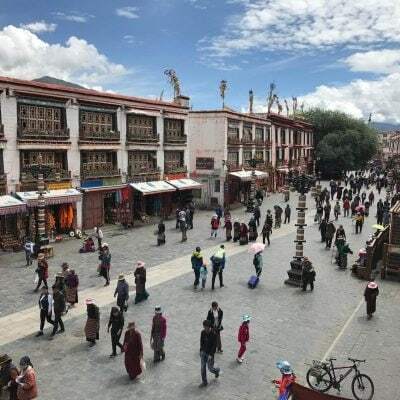 You will join crowds of pilgrims, local Tibetans, and monks circumambulating the Jokhang Temple. 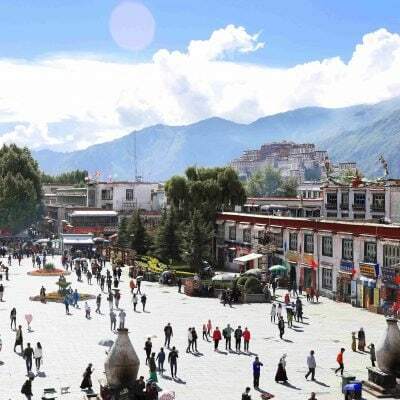 Most importantly, on your first day in Tibet, be sure to relax, enjoy your day and allow some time for acclimatizing. 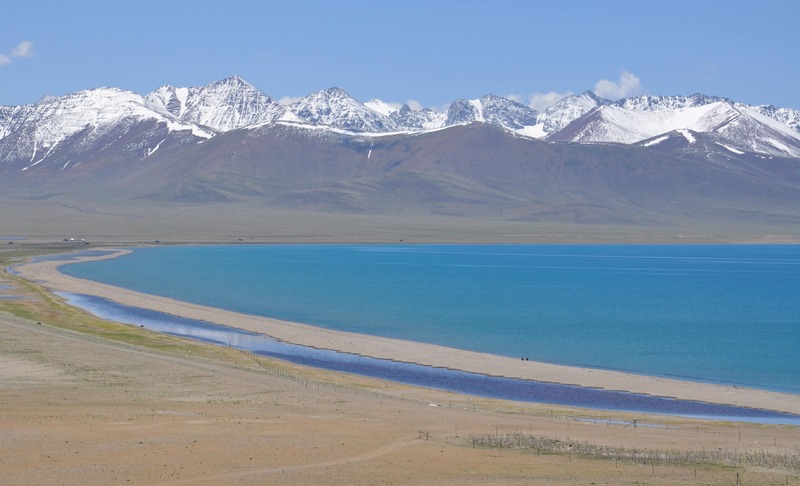 Namtso lake is located at 4,700 meters/ 15,470 ft above the sea level. 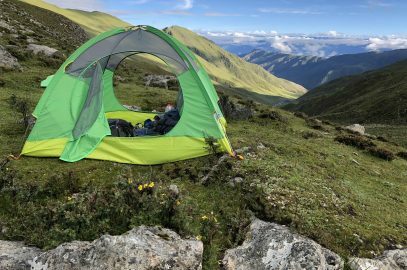 That’s why you need to spend a couple of days at the lower elevation before going towards the lake. 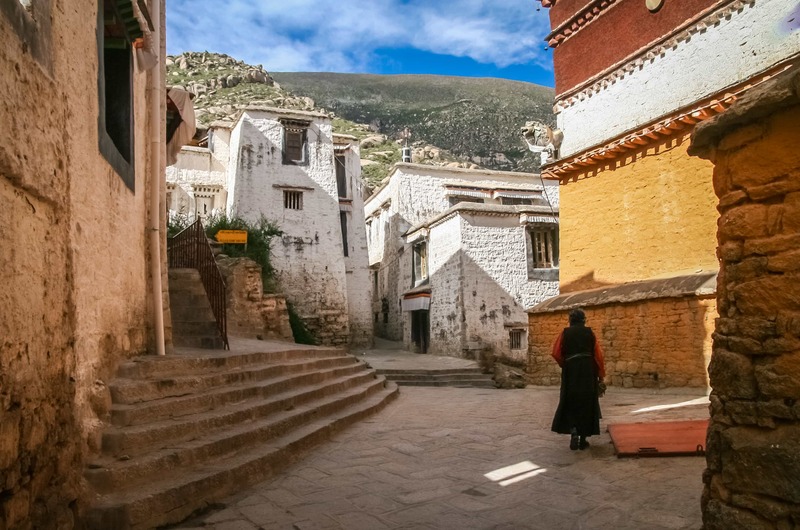 After visiting the temple, we recommend taking a walk around Barkhor Street. 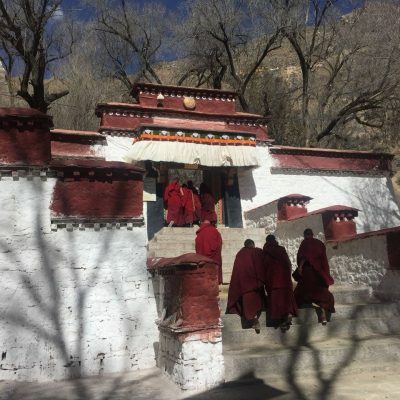 We are visiting two most important monasteries in the capital. 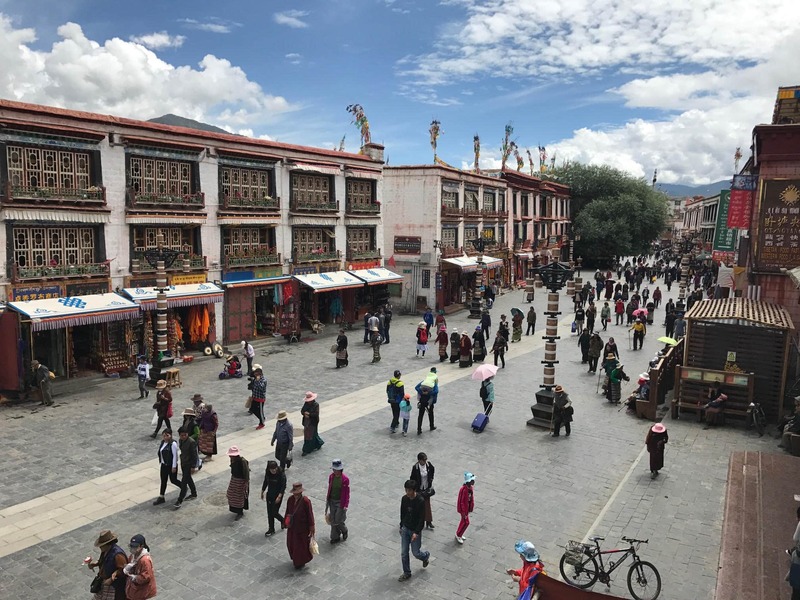 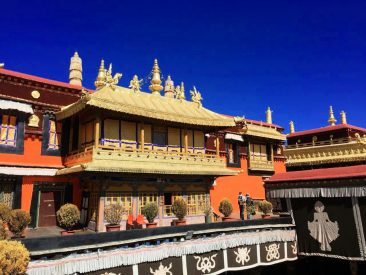 First, we will visit Drepung monastery which once was the biggest monastery in the world with over 10,000 monks living there. 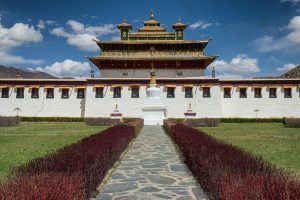 It was the residence of Dalai Lamas before the Potala Palace was built. 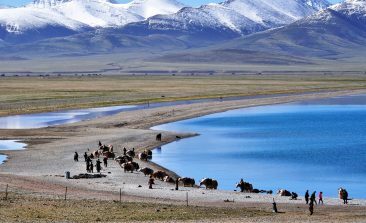 We have lunch after the visit. 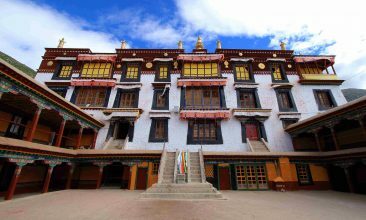 In the afternoon we are visiting Sera Monastery. 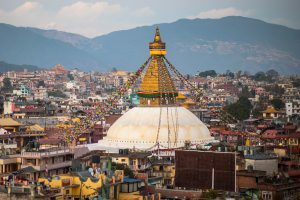 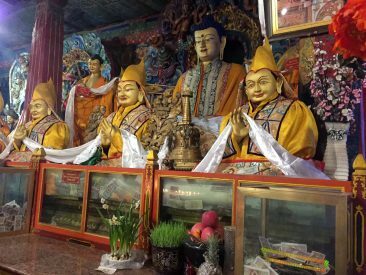 It was founded by Tsongkhapa’s disciple in the 15th century. 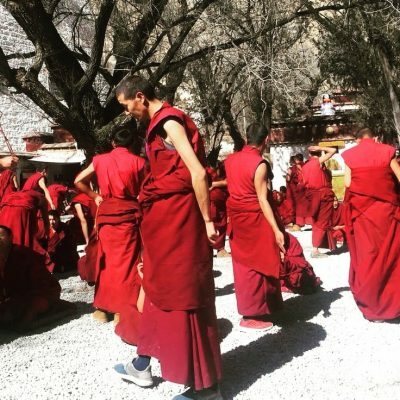 Nowadays it is famous for monks debate that you can witness. 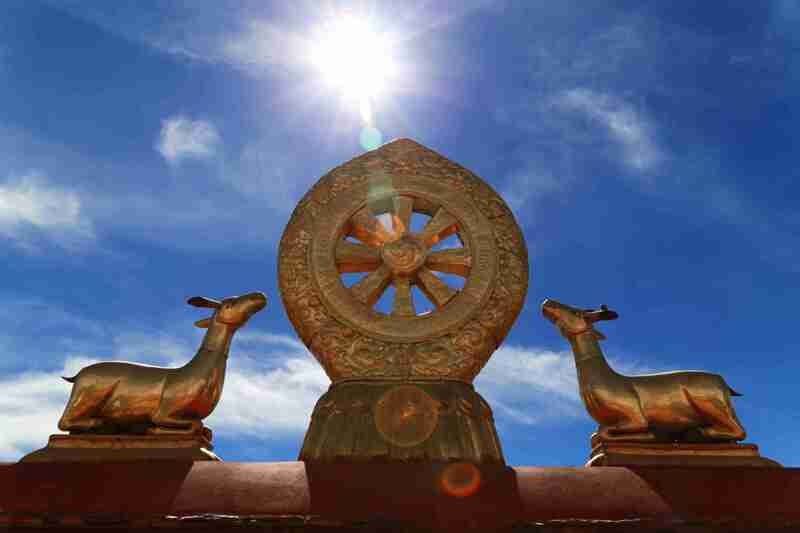 Debates are a very important part of learning and understanding Buddhism. Monks gather in the courtyard in the shade of trees to refine their knowledge. 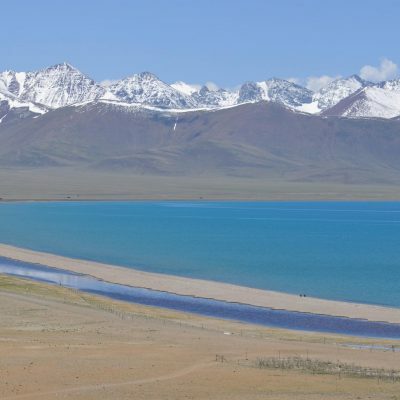 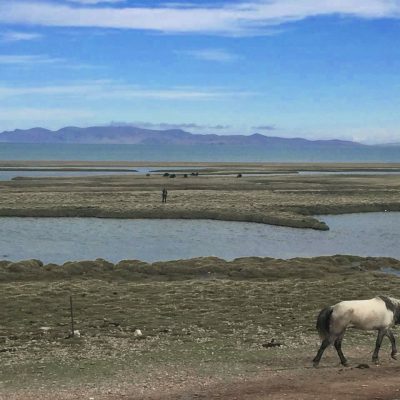 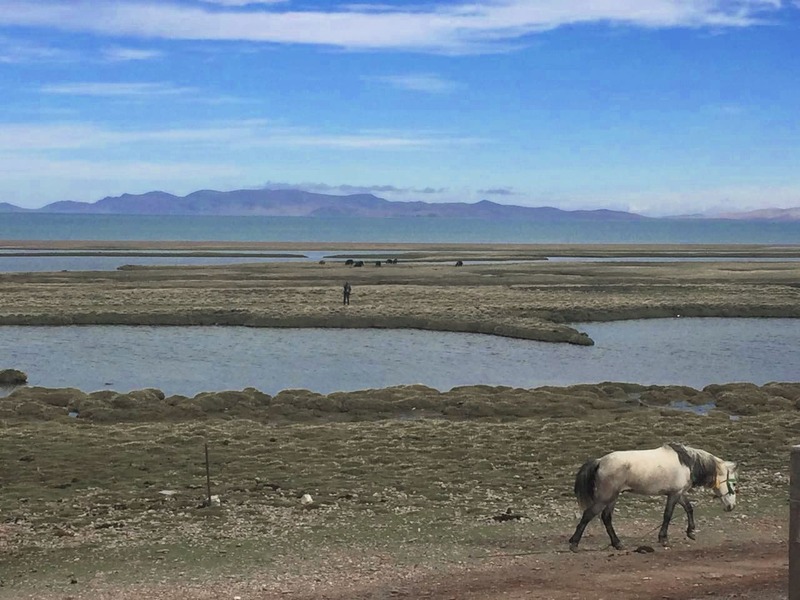 Today we are driving to the largest saltwater lake in Tibet. 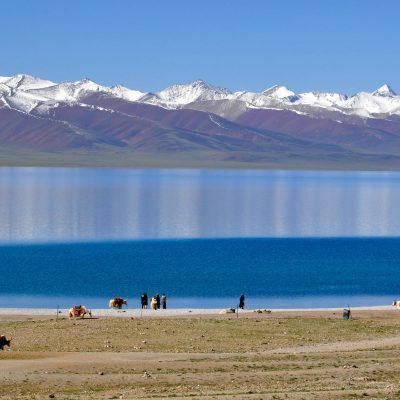 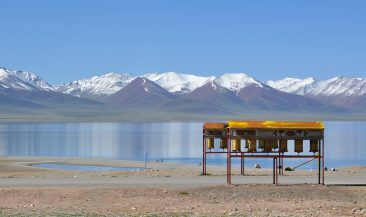 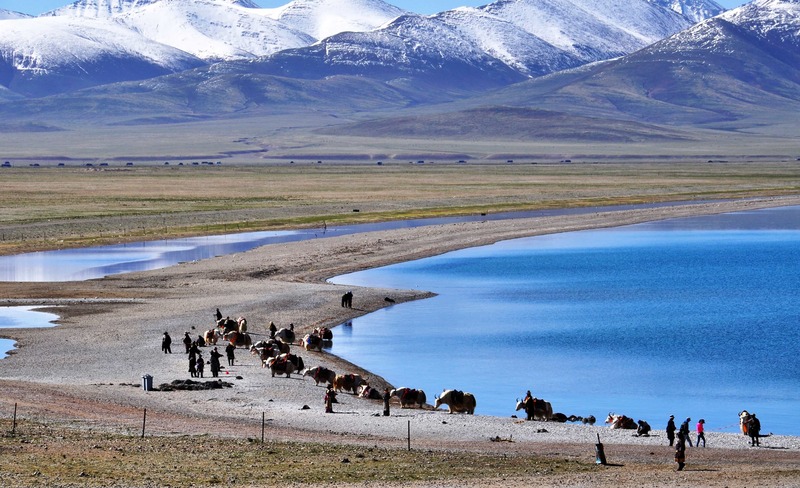 Namtso lake is situated in a stunning place, surrounded by snow-capped mountains. 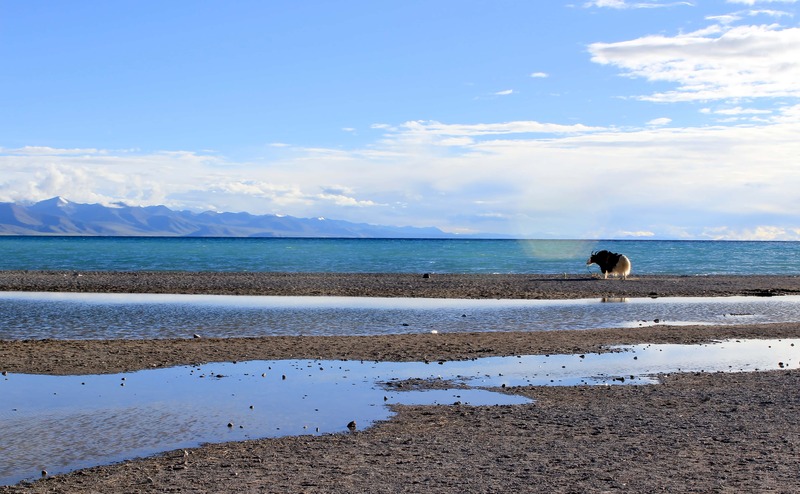 In the morning we will walk at the Namtso lakeshore. 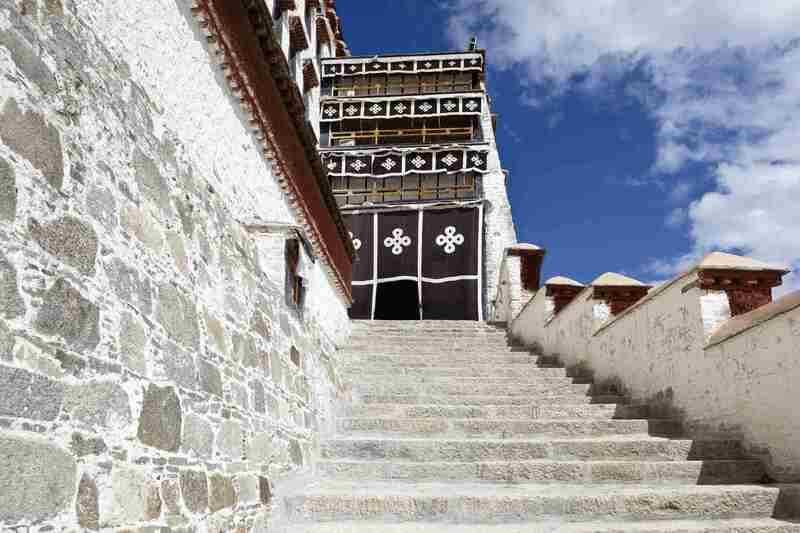 We will visit the monastery located nearby. After that, we will head back to Lhasa. 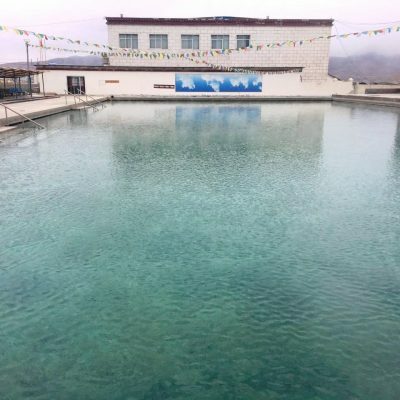 On the way, we will make a stop at the Yangpachen Hotsprings. 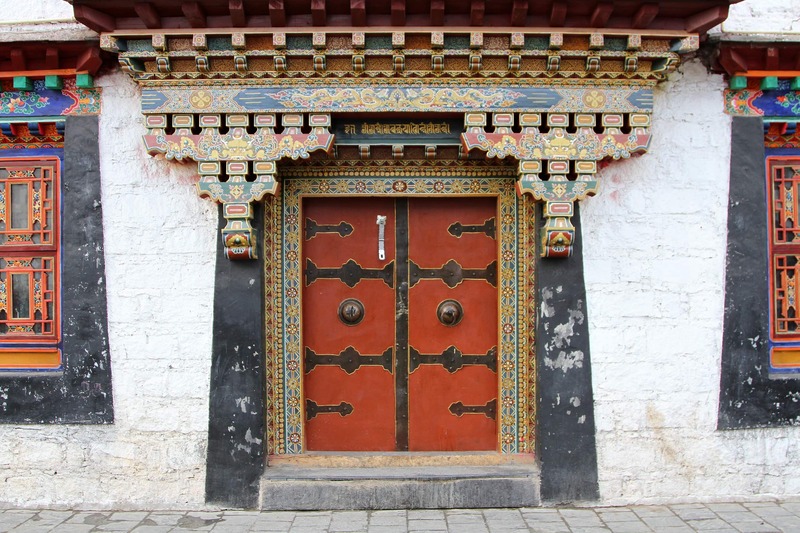 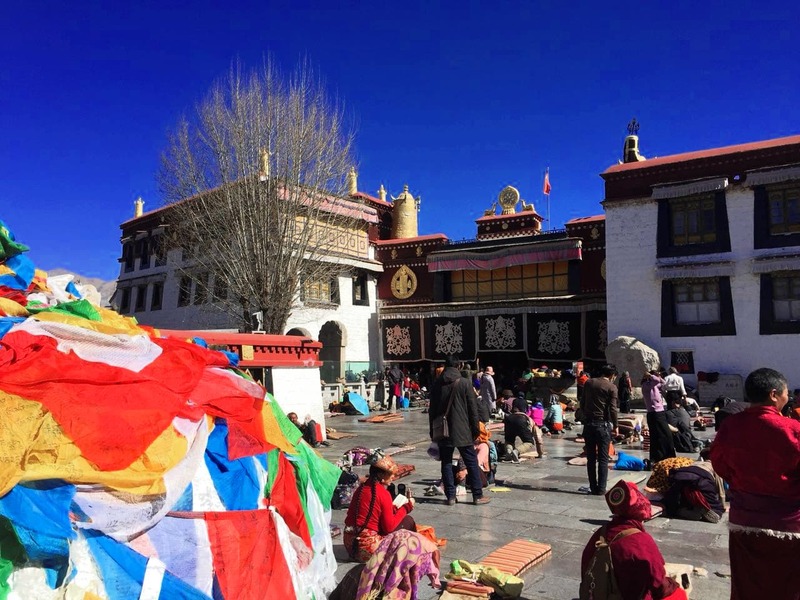 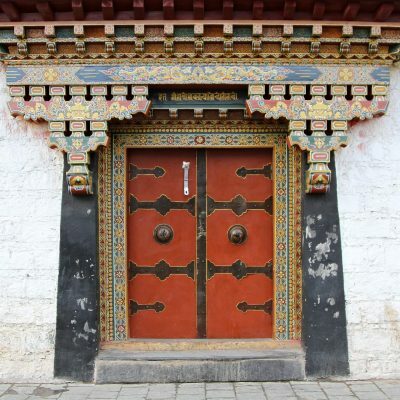 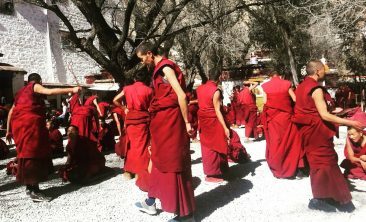 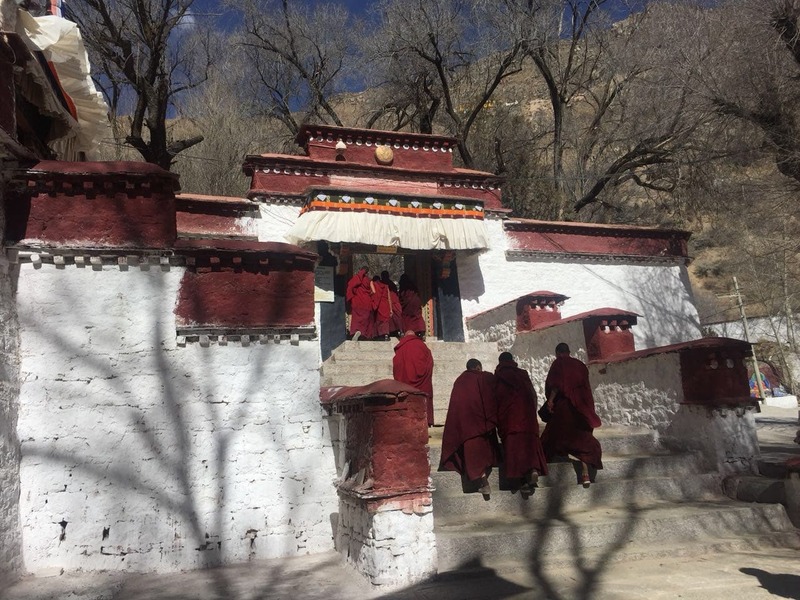 This private tour takes you from Lhasa to Yarlung Valley and Samye Monastery. 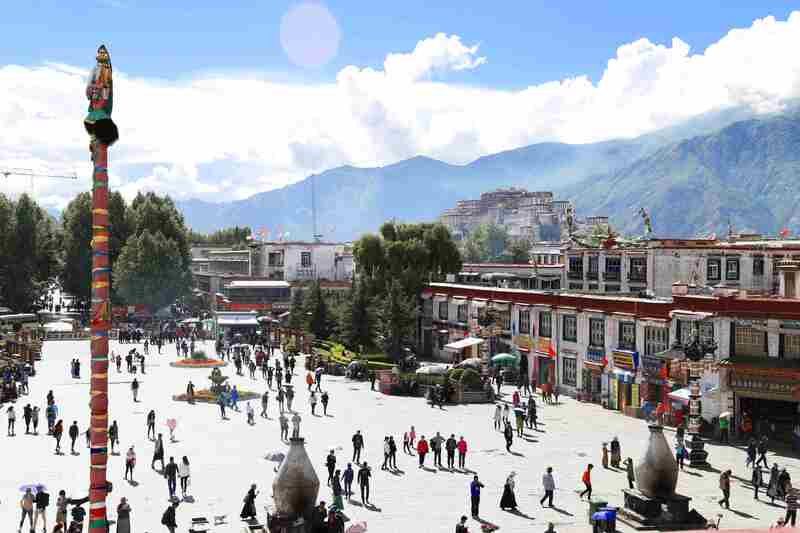 Yarlung valley is the birthplace of Tibetan civilization. 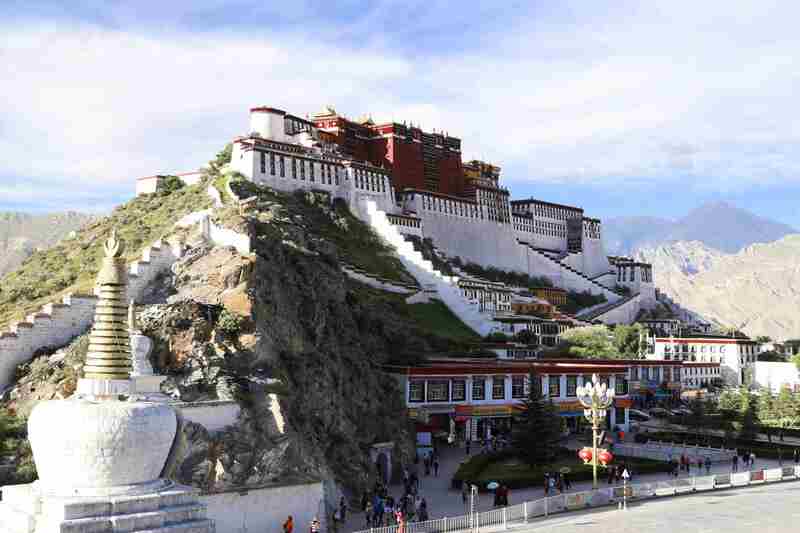 You can see Yumbulakhang, an ancient fort and the first surviving building in Tibet. 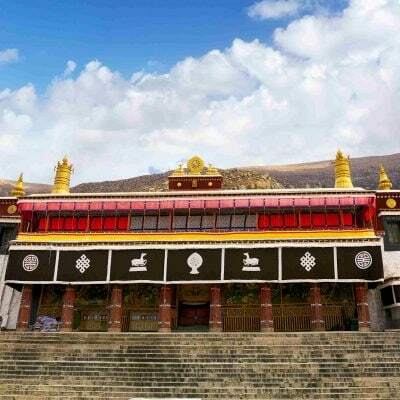 After that, you will visit Samye, the first Buddhist monastery in Tibet. 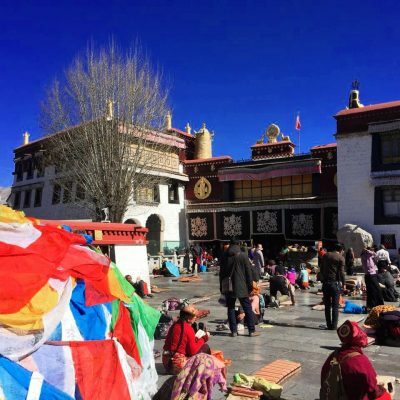 This tour starts in Lhasa. 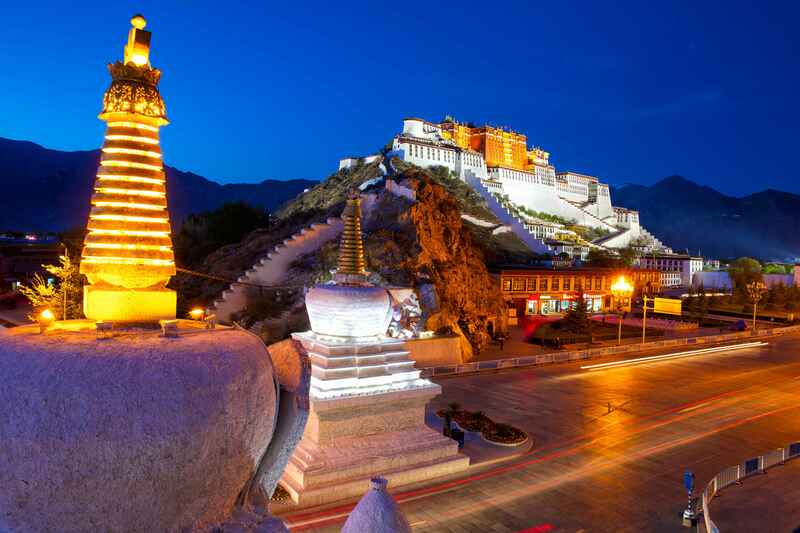 We will stay there for 2 days to explore the capital and acclimatize. 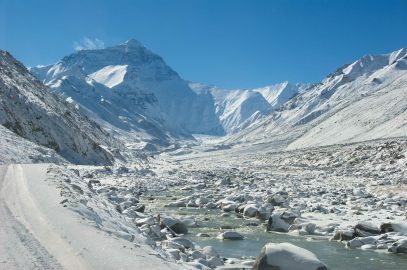 After that, we will head to the center of attraction in Himalayas – Mount Everest. 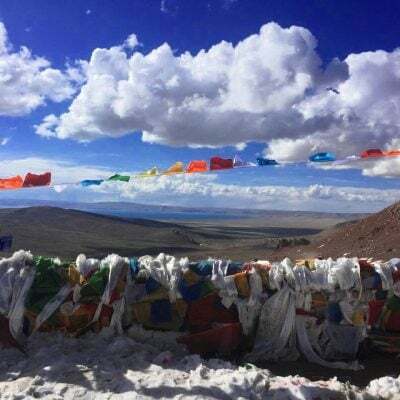 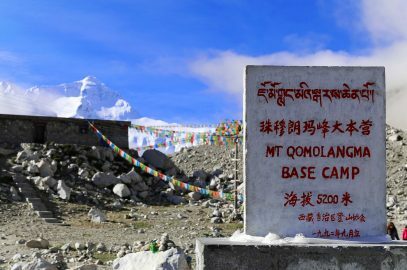 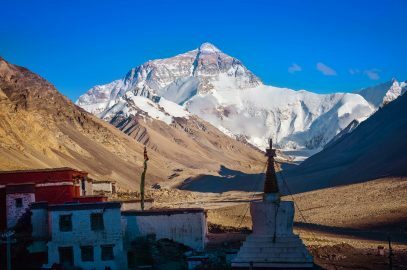 We will spend a night by the highest mountain on a planet and continue driving through majestic mountain ranges, alongside rivers and waterfalls to the border between Tibet and Nepal.